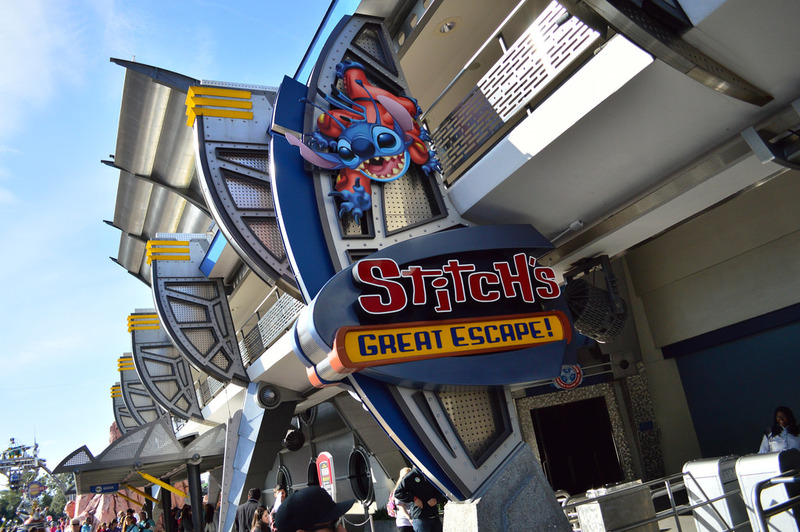 This week’s SATURDAY SIX takes a look at the Six Best Attractions at Walt Disney World. Hot off the heels of our All Star Panel getting together and voting for the Six Best Attractions at the Universal Orlando Resort, it was only natural to take a look across the street and get to the bottom, once and for all, of what the six best attractions at Walt Disney World were. But this is The World after all. The Vacation Kingdom. The most popular theme park resort on Earth. So naturally we had to go big. We contacted 25 experts for Universal? Well we’re getting 50 for Disney! And after negotiations that took so long that Disney could have taken down two Sorcerer’s Hats in the same time, we finally heard back from some of the most well known names in the Disney Universe. An all star, blue ribbon panel made up of members from some of the best Disney podcasts (Disney Hipsters, WDW Today, Radio Harambe, and the Mighty Men of Mouse), the most amazing Disney photographers (including Tom Bricker, Morgan Crutchfield, Brandon Glover, and Dirk Wallen), the greatest Disney bloggers/authors (Epcot Explorer, Sam Gennaway, FoxxFur, and Jim Hill), the nicest Disney fans we know (Scarlett Litton, Daisy Lauren, and Drunk At Disney), the meanest Disney fans we know (Tom Corless and Josh Humphrey), legitimate members of the Theme Park Media Elite (Orlando Sentinel’s Dewayne Bevil, Attraction Magazine‘s Banks Lee and Matt Roseboom), and the only guy in the entire world who admits to liking Disney’s Hollywood Studios (Matt Hochberg). SATURDAY SIX staff tabulating votes. But that’s just the tip of the iceberg. Maureen Deal of Autism at the Parks? Here. Gary Bruckner, creator of the Frost Bitten Rum Cider at the Dolphin’s Todd English bluezoo? Here. Fan Favorite Disney Twitter accounts? How about Mearn, Mark Diba, and Adam Roth. Not to mention both Jenn and Tim Tracker! They’re ALL HERE, and many more. The Criteria: Each of the 50 experts voted on what they consider to be the six best attractions at the Walt Disney World Resort. These attractions could be any ride, show, nighttime spectacular, or parade currently in Walt Disney World (including the water parks.) Anything that was holiday exclusive – such as the Boo to You! parade, Happy HalloWishes, or the Osborne Family Spectacle of Dancing Lights – were not eligible. Each attraction listed would be awarded ONE point, except for the attraction that the voter ranked in his #1 spot – that received TWO points. The votes were then sent to a top secret location in Florida and counted no less than 22 times. (We’ve had some problems in the past. We can’t apologize enough, Mr. Gore.) The results are in, and we now proudly present…. The DEFINITIVE GUIDE to the SIX BEST ATTRACTIONS at Walt Disney World. Laurel Stewart (TouringPlans Disney Cruise Queen) – Opening Date – 1980: Big Thunder has it all – story, visual puns, theming, great effects… a bluegrass soundtrack. It’s not as great a coaster from a technical standpoint as Expedition Everest (Yeti aside, which it turns out, was a mechanical overreach on Disney’s part) or Rock ‘n’ Roller coaster. And it’s not a thrill ride by any means – there are more intense coasters all over Orlando. But this one is Disney at its best. It anchors Frontierland in a way that I don’t think Disney has come close to in years with the exception of Everest in Animal Kingdom’s Asia, which I think is its successor (and my would-have-been number one pick except that the ride is way too short). Because it opened in 1980, I never had to worry about the height requirement and was able to ride it from the start. Which I did, because I LOVE ROLLER COASTERS. On the other hand, my younger brother may have been tricked onto it when I told him it was “just a train ride, like the one at Main Street.” Suffice it to say, I have plenty of nostalgia for Big Thunder and love it just as much today as 35 years ago. And if you don’t take my word for it, take it from the French. Big Thunder Mountain is by far the most popular attraction at Disneyland Paris. And the French are never wrong. Just ask Jerry Lewis. Scott Smith (WDWNewsToday) – Big Thunder Mountain is the quintessential Disney Thrill ride. It perfectly ups the excitement level while not ever losing the family friendly qualities. From first entrance to final turn, it’s full of details and theme that transports you back to the era which embodies Frontierland. The run through the mining town, the various animals, water features, lighting features, there is always something to notice while you zip by. Not to mention the iconic music and spiels. The whole package is a great example of Disney imagineering at it’s finest. 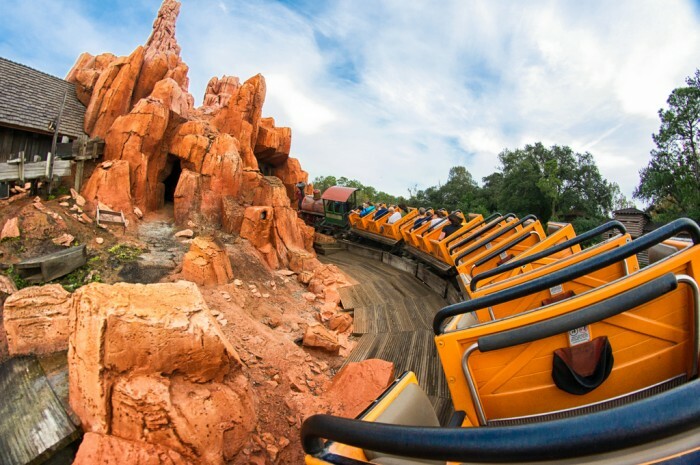 SATURDAY SIX TIP – One of our favorite things to do at Magic Kingdom is take a ride on the railroad and see all the details on the back side of Big Thunder that guests don’t see because the ride goes by them so fast. And before we go, here is a Big Thunder tribute by the first couple of Orlando, Tim and Jenn Tracker. Safari Mike (Jambo Everyone) – Repeatability. It’s an important concept for theme park rides I would think. Some rides you try once and that’s enough, others you can ride over and over again. 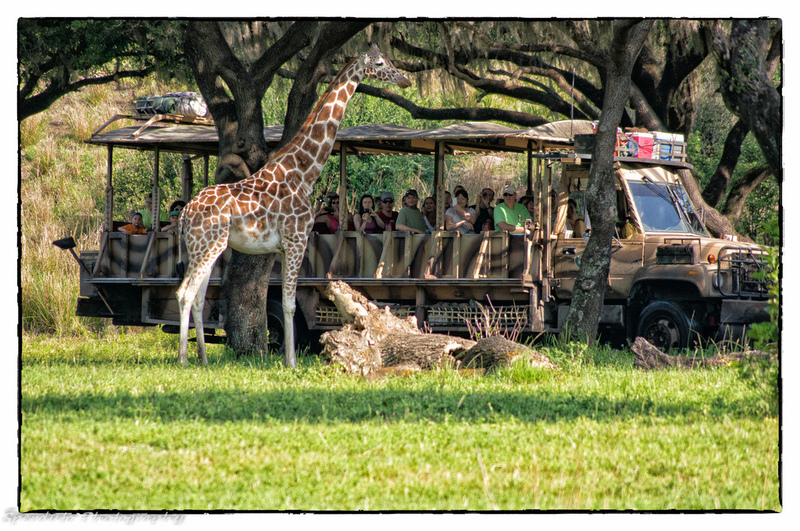 Kilimanjaro Safaris has that repeatability, more so than any other attraction. 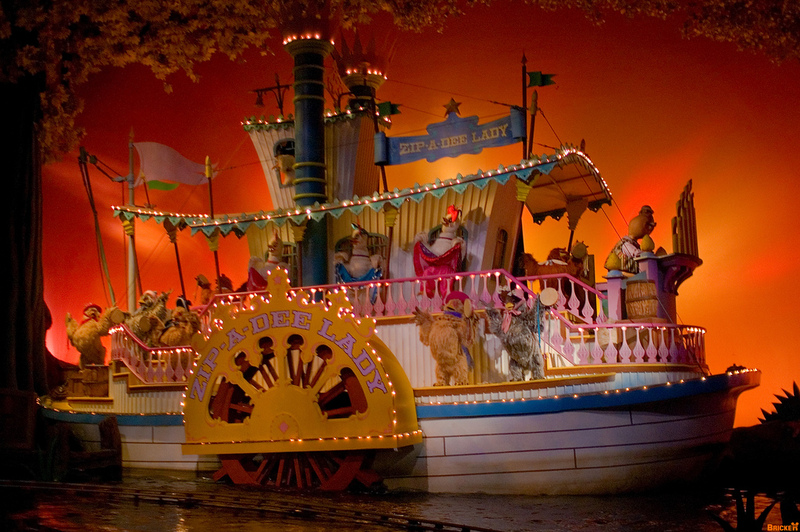 In fact, its pretty much the only attraction that can be completely different every time you ride thanks to the stars of the ride, the animals. This attraction like no other is the signature of its park – its represents the theme of the Animal Kingdom and it does that in a grand manner. The attraction is HUGE, you can fit the Magic Kingdom in it, and its long, running about 22 minutes though that depends on the animals, what they are doing and how often they clog the roads. And then there are the cast members who take you on your “2 week” trip. They don’t have the campiness of the Jungle Cruise skippers or Great Movie Ride hosts, but that’s a good thing. Instead, they are a wealth of information (usually) and bring the world of the rhino, and cheetah, and addax and everything else to the guest. So that’s why Kilimanjaro Safaris is one of the best attractions at Disney: grand in scope, perfect in theme, great cast members, and repeatability. Tim Grassey (WDWThemeParks) – Kilimanjaro Safaris is the anchor of the most beautiful theme park in the country. It is synonymous with Disney’s Animal Kingdom and the park doesn’t exist without that ride. I’ve enjoyed the various iterations of the attraction dating back to my first experience at the park’s official opening day. Since then, Disney has managed to solve the poacher problem although the Tommies didn’t quite make the cut. 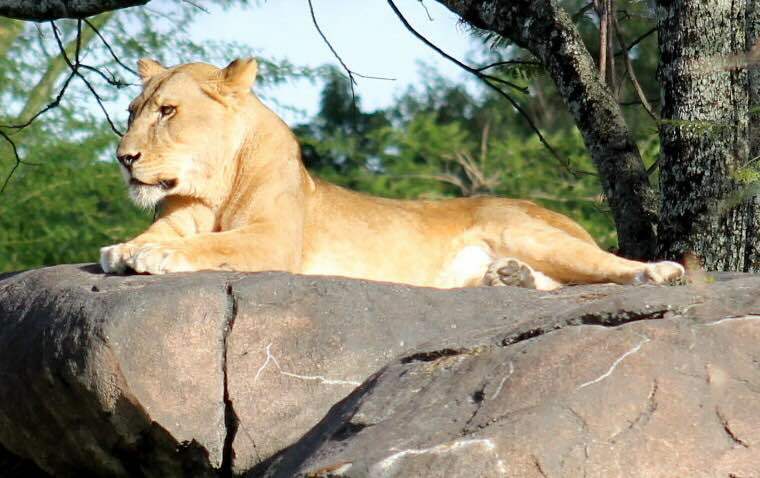 Yet, since the opening of the park, the focus of Kilimanjaro Safaris has remained consistent: animals. It is a presentation of animals unlike any other. Every trip into the Harambe Wildlife Reserve is a real True Life Adventure. It is my favorite attraction in my favorite park. Amanda G. (Nerds in Wonderland) – Let me get this out of the way up front: there’s no arguing that Expedition Everest has a big flaw. Who among us wouldn’t give an appendage for a working Yeti? But if you can set this disappointment aside, Expedition Everest is still one of the best attractions on property. While appropriately dubbed a “family” roller coaster – Everest will never win awards for height or speed or fear – its elaborate theming and tempered thrills provide an experience you don’t find with most coasters. I still laugh gleefully from the G forces felt while hurtling backwards through the mountain. I find new details I missed before, whether it’s prayer idols on the first lift hill or an interesting photograph in the attraction’s museum-like queue. Sure, you can go to Six Flags or Cedar Point for bigger thrills, but a backwards roller coaster wrapped in a thoughtful and well-executed story? That’s my idea of fun. The Yeti may be broken..but I still love this damn ride. Maureen Deal (Autism at the Parks) – Although it’s not for the very young or faint of heart, Expedition Everest is very appealing to many WDW guests and can be considered by some as Disney’s most thrilling roller coaster for many reasons. 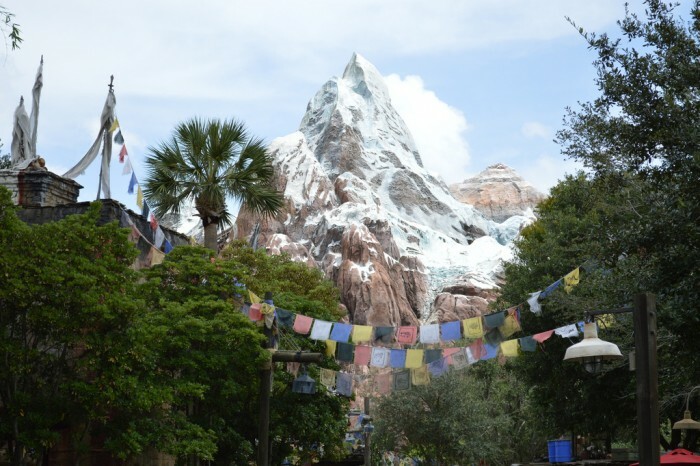 Walking up to this icon at Disney’s Animal Kingdom, guests are immediately captivated by the majesty of Everest and the sound of the screams as riders plunge down the tall mountainside. One of the few attractions at WDW that offers a single rider entrance in addition to the standby and FastPass+ queues, the queue transports the rider away from a theme park into an immersive storyline. 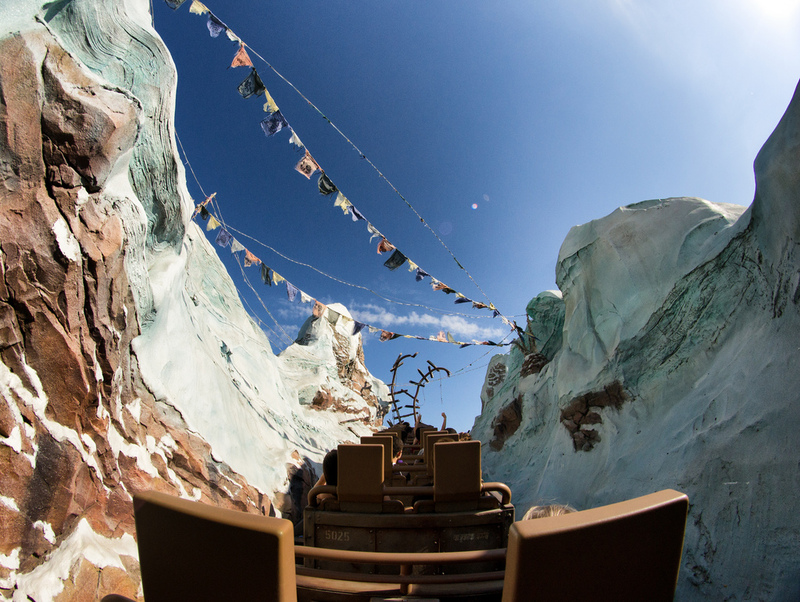 Although the Yeti animatronic has had mechanical issues practically since it opened, Disney’s attention to detail, the scenes, views and thrills of the coaster enhances the ride experience far more than the non-functioning Yeti detracts. The thrill of the ride itself is awesome. The train peaks at the top of Everest and then plunges backwards into the dark mountain, then rapidly accelerates down the mountainside with guests experiencing up to 3 g’s and 50mph. All combined this makes Expedition Everest one of the most unique and thrilling rides at Walt Disney World. 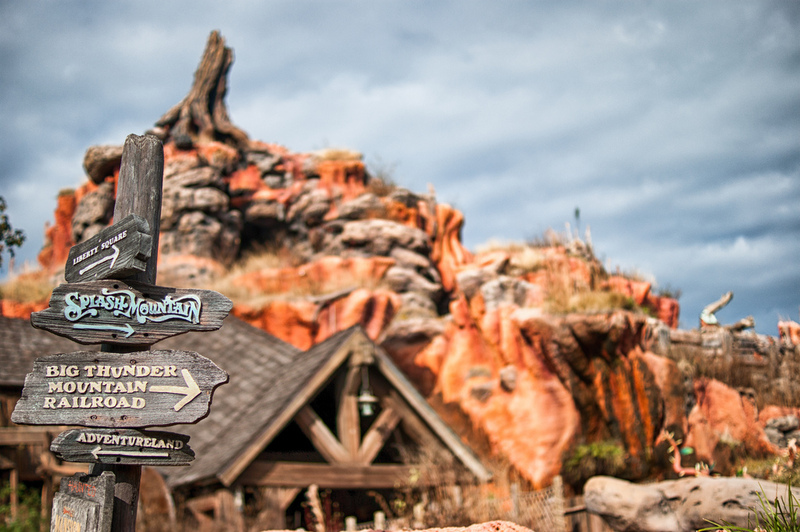 Mighty Men of Mouse – Splash Mountain is the perfect attraction. It plays with and delights the expectations of first time riders, but still rewards repeat visitors with rich details in a whimsical environment. New riders get their first look at the over 50-foot drop as they approach the ride. The crashing logs, firing water cannons and view of soaked guests offer glimpses of what is to come. The attraction then plays with your knowledge of that climatic plunge throughout, by using false finishes and teasing the “Big One.” That tension is balanced by the best soundtrack in Walt Disney World, headlined by Song of the South’s “Zip-a-Dee-Do-Dah,” and cute animatronics combining to tell the story of a character learning to love his home. Mix in a perfectly themed queue, and Splash Mountain remains on the “must do” list of even the most frequent Magic Kingdom visitors. It is the absolute best Disney has to offer, and the attraction that all others should be measured against. It is also a boat ride. 1) It’s big. Things done on a massive scale are always harder to pull off, because there’s more to go wrong. 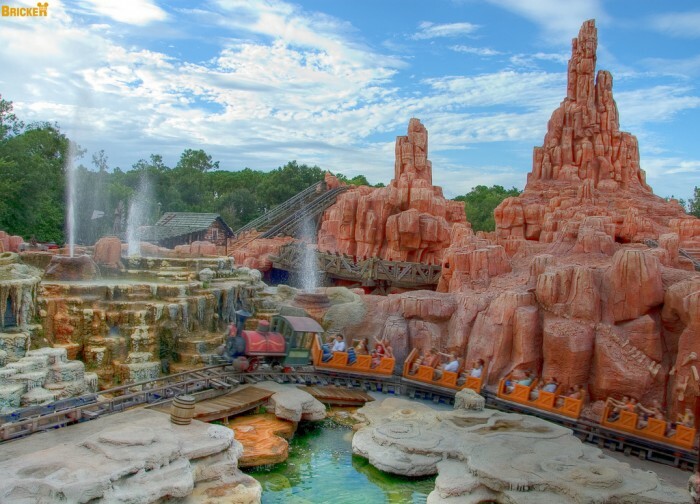 Splash Mountain is one of the biggest attractions in the Magic Kingdom, one of four “mountains” in the park, and big enough to include a nearly 90-foot drop. From the top of the ride you can see your house*. 2) It’s detailed. Splash isn’t as detailed as, say, Pirates of the Caribbean, but it has its fair share of interesting animatronics, including a hopping Bre’r Rabbit, swirling fish, and jumping water. Plus the showboat scene is a decent replica of the big number from Song of the South. 3) It rewards a long wait. Depending on how fast they’re running the water, the entire journey can take something like 11 to 14 minutes, which is fair for a wait that probably averages around an hour on warm days. 4) It’s fun for everyone. Yes, there’s a 40″ height requirement, but that’s roughly average for a 5-year old boy. Splash has one big drop, which does scare some kids, but it’s still the best introduction to real roller coasters in the park. (Seven Dwarfs is closer to Barnstormer than Space Mountain.) It’s a great family ride. 5) It’s got a catchy song. Splash has 3 of them: “How Do You Do,” “Everybody’s Got a Laughing Place,” and “Zip-a-Dee-Doo-Dah.” If you’re not singing one of these by the end of this sentence, I has the sads for you. * If you live at the Contemporary. Epcot Explorer – If there is one attraction that represents the pinnacle of WED’s efforts in making Walt Disney World a continuation of their (And Walt’s!) modus operandi in Disneyland, it is arguably the second version of the Haunted Mansion that resides in The Magic Kingdom’s Liberty Square. 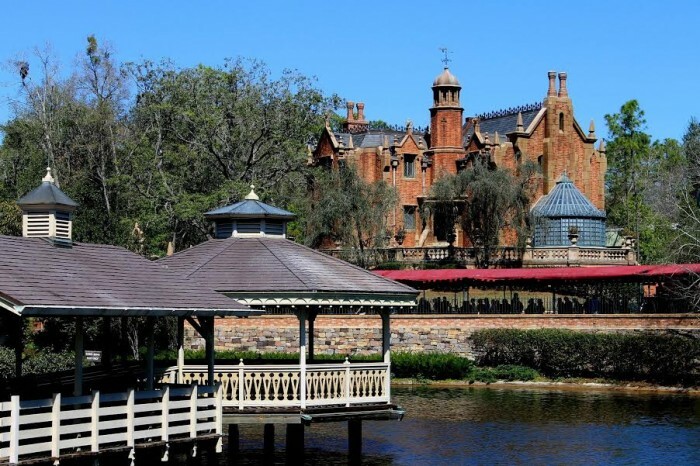 The WDW version of the Haunted Mansion takes the Disneyland original and expands the ride experience, not only by nature of making the ride physically longer, but by placing it in an environment that supports it thematically and…. spiritually…. if you’ll pardon the easy ghost pun. The Haunted Mansion commands superiority and respect from the moment you see it from across the Rivers of America or the western fringes of Liberty Square. The house is imposing, grand, and elicits an emotional response. It makes a statement. 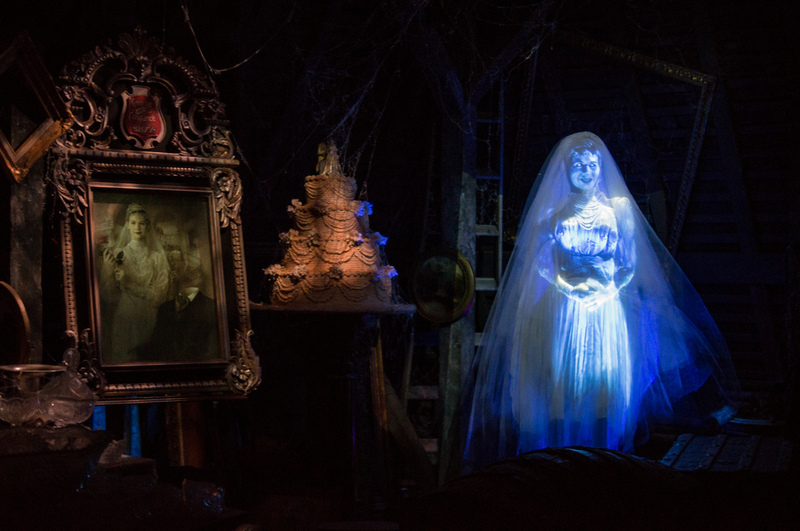 While Disneyland’s original Haunted Mansion is charming and beautiful in New Orleans Square, Disney World’s second version of the Haunted Mansion tells you what it is from a mile away and lets that wonderful and eerie feeling build. Once inside, you’re treated to a long and nuanced journey into the boundless realm of the supernatural. Dominated by two of WED’s greatest minds, Claude Coats and Marc Davis, The Haunted Mansion slips between eerie illusions and mysterious environments to joyful gags and uproarious characters. This delicate mix of styles and moods makes The Haunted Mansion so unique in its tone, and solidifies its spot in Disney history; it makes the Haunted Mansion an oblique reflection of the best styles and modes that Disney had to offer in the late 1960s and early 1970s. So, for nearly 45 years, Walt Disney World’s Haunted Mansion has endured not as a unique attraction to Florida’s Magic Kingdom, but as the second and refined version of a Disneyland attraction. 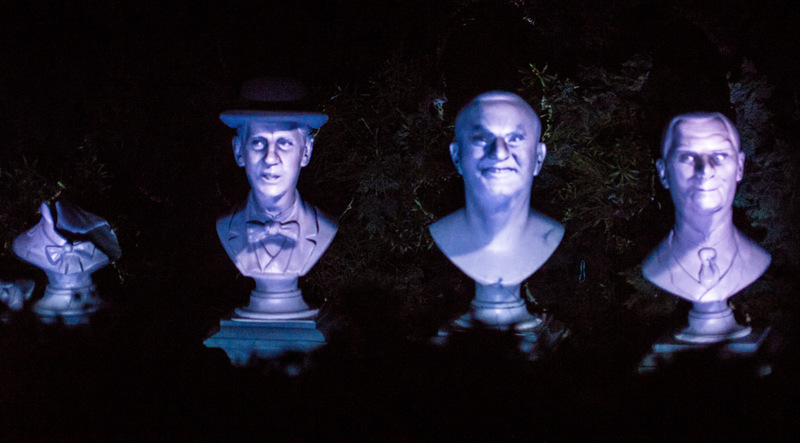 It has undergone further changes in recent years with a new and zany queue added to the experience and projections of the Hitchhiking Ghosts to the finale. A few years earlier, new stairs and a reconfigured attic was added to The Mansion. The interior and overarching history and quality of The Haunted Mansion have not been overtly touched by these additions, no matter what your personal thoughts are on the thematic integrity of these additions are. Instead, the masterful illusions and moods and placemaking that WED created in 1969 and 1971 continue to delight, frighten, and enchant. The core of one of Walt Disney World’s best attractions endures and exhibits how special and unique not only the attraction is itself, but the historical and artistic space it inhabits in Disney’s pantheon. FoxxFur (Passport 2 Dreams) – The Haunted Mansion isn’t just the best attraction in Orlando, it’s a genuine masterpiece of 20th century popular art. It’s simultaneously approachable, simple, and brilliantly communicative and entirely mysterious and unexplainable. It presents disordered, spookily suggestive visual material but offers you no reliable key to decode it. 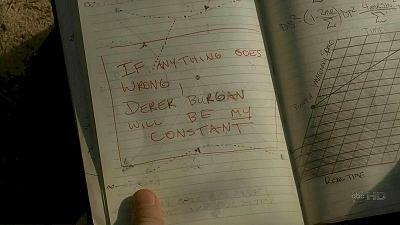 It’s also, along the way, extremely funny and subtly spooky. It’s not the kind of spooky that makes you shrink in fear, but late at night, when you least expect it, those ideas can get into you. Don’t believe me? How many of you would be happy to glimpse those candles floating through your house at night? It’s also, more than nearly any other Disney attraction, designed to the most extreme degree. There’s hardly an object or surface that hasn’t got some kind of custom carved or painted brilliant visual embellishment on it. There are details nested inside details. There’s a reason it inspires the sort of obsessive mania and scrutiny generally only reserved for books written by Tolkein – and actually rewards the effort. Haunted Mansion gets to places in eight and a half minutes of ride time that it takes some authors hundreds of pages or filmmakers hours of film to breach. It’s a marvel. And, along with Disneyland’s Pirates of the Caribbean, it’s one of the twin poles that all subsequent themed attractions are built on….. the definitive yardstick. Jim Hill (Jim Hill Media) – From the eerie, echo-y 1930s music that you hear in the outside queue to the cob-web covered lobby to the creepy clanking of the boiler in this abandoned building’s basement, no other attraction at Walt Disney World does a better job of setting the stage for the ride that is to follow than The Twilight Zone Tower of Terror. Mind you, I wish that they’d go back to this thrill ride’s original drop profile just so WDW visitors could then experience what TOT was really like when it first opened at DHS in July of 1994. But beyond that minor quibble, The Twilight Zone Tower of Terror really is a must-see. 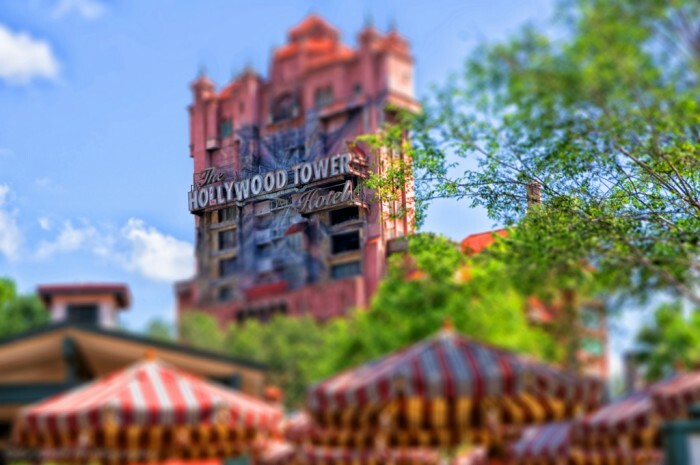 No visit to Walt Disney World is complete without experiencing this classic thrill ride. Matt Hochberg (Studios Central) – If you were to come up with the formula for the perfect Walt Disney World attraction, you would say at the very least it needs a good story, good ride and good decor/ambiance/theme. Tower of Terror is the attraction that has all of these in spades. Before you even walk in, you’re greeted with the chilling music, the Spanish moss on the tree branches and a hotel that looks like it’s had better days. From the queue to the library preshow area to the boiler room and the ride itself, Tower of Terror has it all. 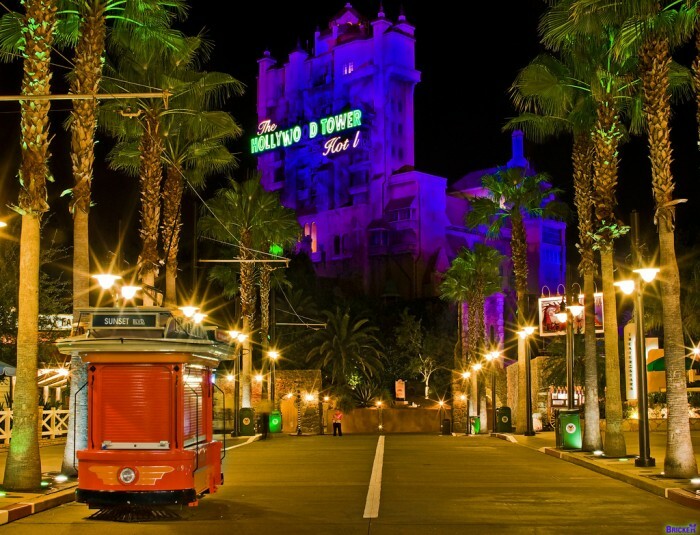 Given the level of detail, thrilling ride and amazing decorations all along the way, Tower of Terror has to be the best attraction out there, especially when you try to stack up other attractions against it with the same criteria. 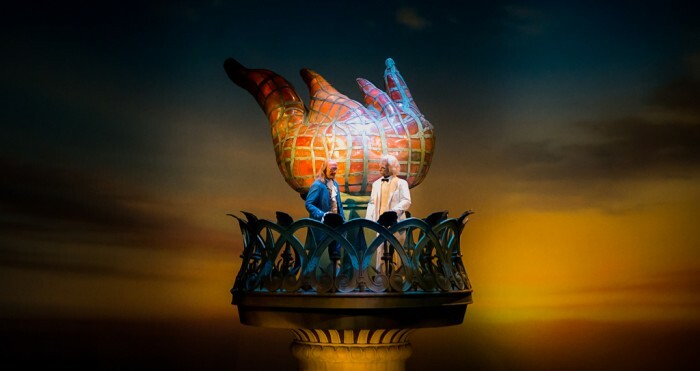 FoxxFur (Passport to Dreams)- You can count the number of great travelogue theater shows on one hand – with perhaps a special dispensation for Le Visionarium/Timekeeper – and Rick Harper’s masterpiece sits at the very top of the heap. Originally intended for the Circle-Vision process, it’s our great fortune that Impressions de France ended up as a 200-deree, not 360-degree, film, and not just because it resulted in a far handsomer theater with actual seats. The basic building block of good filmmaking is the ability to point the camera away from things you don’t want to show, and liberated from the need to hose down every inch of his locations with camera footage, director Harper creates the most intimate and engaged of all the Disney film attractions. The film has a poetic, musical flow which transcends time and a willingness to stop for a quiet moment which the other Disney films often fail to do, and Buddy Baker’s commanding, wonderfully arranged score of French classical composers is perhaps his best moment. But most of all, it’s the five screen process that yields the greatest pleasures. There’s a side street in a quaint French village which can only barely be peered down on the left-most screen, and a distant cafe on the right-most screen where one fancies a menu may be read. As the sun sets over Paris and the organ symphony of Saint-Saëns roars through the theater, it’s impossible not to be genuinely moved. 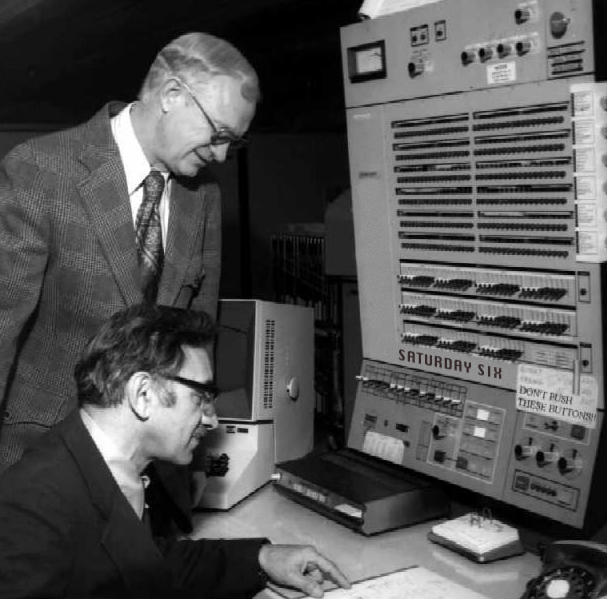 Jim Hill (The Disney Dish with Jim Hill and Len Testa) – Let me blunt here: I’m not a big Epcot fan. Ever since I first visited Disney’s science & technology park right after it first opened back in October of 1982, I have just found the place to be too cold, corporate and calculating. The one exception to that impression was — and still is — The American Adventure. It wasn’t so much that I was wowed by how this World Showcase mixes 70mm film footage, audio animatronics, stirring speeches and music as it attempts to encapsulate all of America’s history in a single 28-and-a-half minute-long presentation. I just like the warts-and-all approach that the late, great Randy Bright took when he was writing the script for this patriotic pageant — citing both the United States’ successes and its failures. Sam Gennaway (author of Universal vs. Disney: The Unofficial Guide to American Theme Parks’ Greatest Rivalry) As much as people flog Disney’s Animal Kingdom (and rightly so in many cases), in my opinion it is the most beautiful of the WDW parks. From a environmental design perspective, Animal Kingdom has stayed true to its original core theme illustrating the balance between man and nature even as the original conservation message has been watered down. 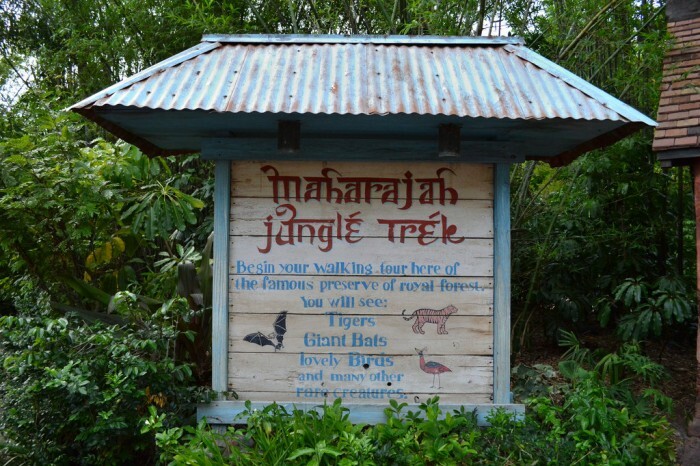 The Pangani Forest Exploration Trail and the Maharajah Jungle Trek are brilliant. They are immersive, layered, and infinitely repeatable. While others race to the big rides at AK you will find me looking at tigers. Keith of the Disney Hipsters – You know, you could create another Pirates Of The Caribbean. God forbid something happened to the existing attraction…they could just make another one. Unless WDI went out of their way to screw it up, it would be at least as good, and there is a possibility it would be even better. Same thing with Mansion or Splash or Everest or almost every other attraction. Theoretically, they could all be recreated. Obviously you couldn’t literally redo EO because Michael Jackson is dead and has been dead long enough where even the most perfectly executed Weekend at Bernie’s scenario would be…inappropriate. What I mean is there is no way Disney would – or could – duplicate that perfect marriage of talent, ego, and ridiculousness and drop it in their parks in 2015. Iger isn’t currently sitting in a room with Taylor Swift and J.J. Abrams discussing a replacement for the Imagination Pavilion. Don’t hold your breath for the announcement that Tough To Be A Bug is out and Gaga and Tarantino are prominently involved in what’s coming next. There is no Kanye/Wes Anderson collaboration coming to DHS – and even if any of those things were happening it just wouldn’t be the same. You’d watch it on YouTube, form an opinion, tweet that opinion, and that would pretty much be it. We just live in a different world now. 1985 might as well have been a thousand years ago when it comes to creating content. Back then, when they set out to create this masterpiece, they took the exact right people at the exact right time and created the exact right attraction – and somehow, despite its flaws (or maybe, in some small way, because of its flaws), it still works today. You can’t possibly sit in the theater and watch this thing and not be thoroughly entertained. It’s the perfect package (slightly less so know since the in-theatre effects are history). It has bold acting choices – there is a reason Anjelica Huston took home the 1986 supporting Oscar for this (they claim it was actually for Prizzi’s Honor, but come on that can’t be right). It has charmingly clunky CGI (if you don’t want to scoop up adorable floating Michael Jackson and put him in your pocket then you are dead to me). It has really wonderful puppetry. And, not to bury the lede or anything, but it has Michael Jackson at his peak, singing and dancing like literally only 1980’s Michael Jackson could do. It’s dated. It’s probably overstayed its welcome (for a second time!) But it’s also a pretty amazing slice of Disney and I’ll miss the hell out of it when it’s gone. Again. One of the most well known, beloved, and influential men in theme park history. 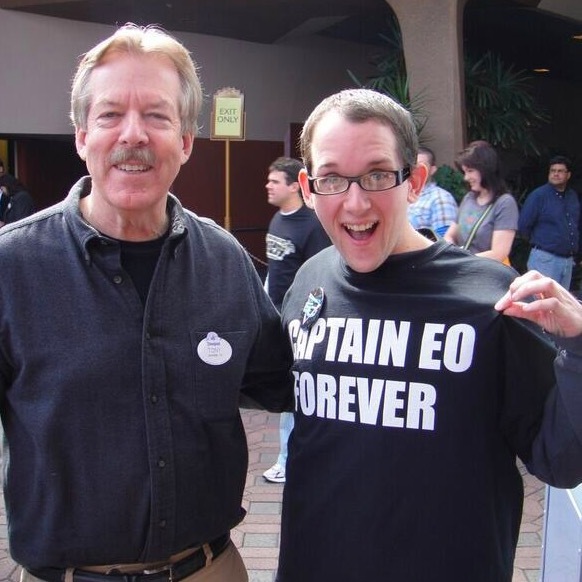 Also pictured, Walt Disney Imagineer Tony Baxter. VOTERS: Tim Tracker, Jenn Tracker, Tom Bricker, Crowd Calendar Guru Fred Hazelton, Len Testa, Dewayne Bevil, Scarlett Litton, Tom Corless, The Disney Hipsters (Adam, Andrew, Jamie, Keith), Joe Matt, Nick Exley, The Mighty Men of Mouse (Kip Springfield, Russ Lipton, Dutch Lombrowski), Epcot Explorer, MKPony, Briman, Adam Roth, Morgan Crutchfield, Mearn, Erin Foster, Patrick Hackett, Cat Lady Laurel Stewart, Brian McNichols, Tim Grassey, Matt Hochberg, Mark Diba, Maureen Deal, New York Times best selling author Josh Humphrey, Banks Lee, Matt Roseboom, Brandon Glover, Brian Carey, Spencer Coleman, Daisy Lauren, Seth Kubersky, Kendra HintofSpy, Scott “DCL Blog” Sanders, Safari Mike, Drunk at Disney, Dirk Wallen, Scott Smith, Gary Bruckner, Amanda G, and “Skipper Ben” Rebstock. So there you have it: The Six Best Attractions at Walt Disney World. See you next weekend for the latest installment of the SATURDAY SIX, where we’ll look at something fun from the world of Disney and Universal. If you had fun, be sure to check out The Magic, The Memories, and Merch! articles, or, for your listening pleasure, check out the Pardon the Pixie Dust podcast. 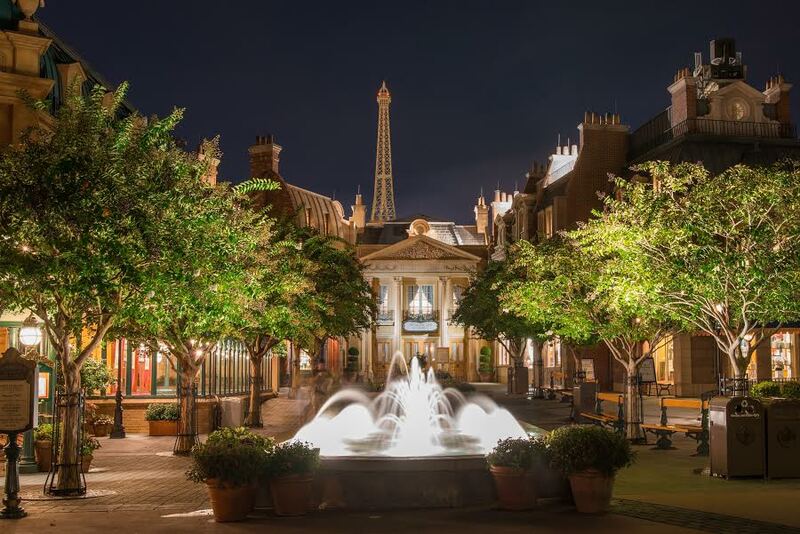 Special thanks to crack staff photographer Brandon Glover, photo wunderkind Mike Sperduto, Disney Photo Icon Tom Bricker, and Megan Stump for their invaluable assistance with this article. Be sure to also check out Brandon on The Park Blogger podcast with co-hosts Aengus Mackenzie and Brian Carey. I would also like each and every one of the talented men and women who agreed to take part in this in-depth study. I respect and am in awe of much of their work and am honored they took the time to help us out. It clearly takes a village to create the SATURDAY SIX and one last person I would like to spotlight is twitter user LightEmAndHide. LightEm is a true friend, someone I can bounce ideas off and then use his much better suggestions. A theme park fan through and through, and a father who is about to introduce two great kids to the world of Disney/Universal that all of us love, LightEm is a key ingredient in the recipe that produces the SATURDAY SIX. So what I’m trying to say is, if there’s ever anything in these articles you don’t like, blame him. What a wonderful and well thought out article! I completely agreed with all your choices until you mentioned Captain EO as being in the same category as the others. It simply does not have anything to do with the Disney Brand. 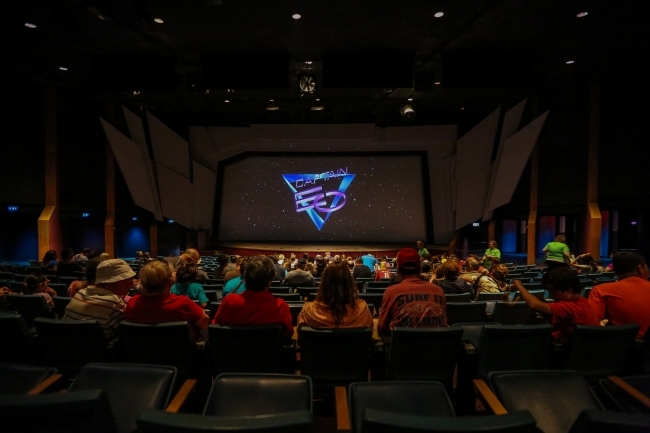 It think it time for Captain EO to find a safe place to rest…perhaps on youtube. I lost some respect for Disney when they brought Captain EO back to cash in on the death of MJ. When he was accused of child molestation they removed the show so fast there was no time to even let it sink in. All to save themselves some bad P.R., but as soon as he died and the MJ love fest went into full swing, they scrambled to get it back (they didn’t even bother to take the time and money to reinstall the in theater effects). I know Disney is a massive for profit corporation, but they should be ashamed of themselves. Great article! All of these attractions demonstrate a level of scope, scale, and detail that defines the “Disney difference”. One thing I noticed: with the exception of Splash Mountain, which is based on a movie that most people have never actually seen, NON of the winning attractions are based on a Disney/Pixar movie and do not feature Princesses or other Disney characters. 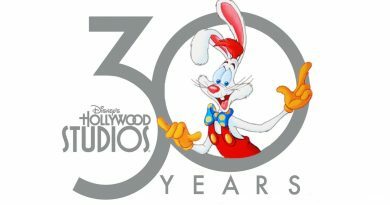 With the current Frozenization of everything, perhaps it is time for WDI to take a look back at their biggest successes that have stood the test of time! 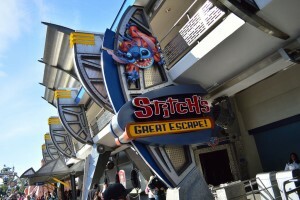 Not one vote for Stitch’s Great Escape – now there’s a surprise. I can only hope when they close it soon for refurbishment, it opens as a completely different attraction! But I’m not holding my breath! In fact it closes tomorrow for 2 days – not enough time for them to rip it apart and replace it with something good!!! Give me two days and a sledgehammer and I can vastly improve it. I’m curious about Jim’s desire for ToT to return to its original drop sequence, and I would love to hear him expand that a bit. As I remember, the original sequence was just a *single* drop, and that was it. Seems far less interesting, so I wonder what Jim is getting at. Great list. Captain EO you either get it or you don’t . Our family loves it. When I heard it was back in Florida was a highlight and hastened our trip down from Canada. I remember being 8 years old in Disneyland when it’s first opened never had seen 3 D anything , hearing my brother and sister listen to MJ growing up. My mind was ABSOLUTELY BLOWN seeing Captain EO for first time.When we saw it couple years as adults we cheered with the audience at Michael s first appearance on the screen and enjoyed it for all it was. While I know it will be gone soon it is one of those treasures that makes Disney pure magic. And as Taylor Swift Wld say Haters gonna hate!!! I usually hold my breath before reading any “best of” lists because I rarely come even close to agreeing with them. This list was a pleasant surprise to me, I’d have a hard time disputing with any of the top 6. My only tweak would be to include Rock n Roller Coaster. However, I can’t bring myself to suggest which attraction I’d bump in its place. Nice job! Love the mention for Impressions de France, which is my favorite theater attraction in existence. It also doesn’t feel dated, which is dangerous for this type of film. I also like the mention of Captain EO. My favorite is Splash Mountain with Tower of Terror coming in second, so I can’t argue at all with this list. I’m not sure that I’d put the Safari so high, but I can see its appeal. It’s quite an achievement, even if it wouldn’t have made my list. We go through the queue, get the head of the line in the boiler room, and ask for the chicken exit. The chicken exit is, wait for it, an elevator. You can imagine how well that went. I think we’d have been better off riding the ride.